You were always very proud of the way your body looked and happily showed it off in your fabulous dresses, bikinis, shorts, and other clothing over the years. Now, after having children, aging, and other factors, your figure may not be the way it once was, making you long for the days where you loved your look and were more comfortable and confident. Even after diet and exercise, your waistline may not cooperate, leaving you feeling frustrated. There may be a remedy for the problem for you with the right procedure from a cosmetic surgeon. You want to understand the cirugia de abdomen in Los Angeles available today so you can see if it is right for you. 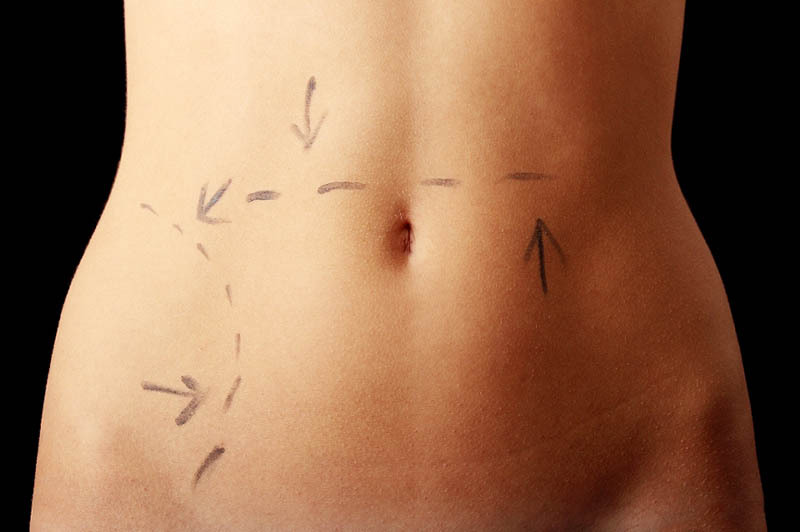 Commonly referred to as a tummy tuck, an abdominoplasty removes the excess skin and fat from your abdomen so that the muscles in the area can tighten and you can look trimmer. Very often there is loose skin in this area after you have experienced weight loss or after childbirth. This area can be difficult to tighten simply through exercise, and the procedure can offer a solution and give you the improvement you want. The surgery, when expertly performed, leaves little, if any, scarring for you that can easily get hidden so that you can go back to wearing the clothing you want. Cirugia de abdomen in Los Angeles is a surgical procedure, and as such you need to consider it seriously. The recovery time from the surgery will vary from person to person, depending on the severity of the procedure, and there will be restrictions that you need to follow closely following the surgery, so you do not injure yourself. Avoiding lifting or carrying is important, and there will be healing time needed after surgery to allow for bruising and swelling to subside and then for stitches to get removed. To learn more about the possibility of cirugia de abdomen in Los Angeles and to see if you are a good candidate for the procedure, you want to speak to an expert cosmetic surgeon like we have here at Dr. Rojas Cosmetic Surgery. Dr. Rojas has helped many patients over the years achieve the look they want and provides top-level care. You can schedule an appointment to meet with Dr. Rojas and discuss your options by calling 310-391-7143 and our staff we will be happy to arrange a consultation for you.